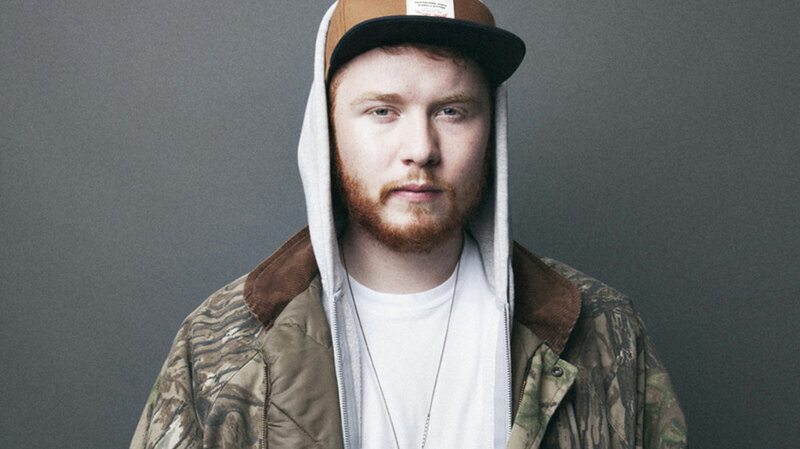 Matt “Julio Bashmore” Walker has been at the forefront of the UK house music revival ever since his eponymous EP for Dirtybird in 2009, and has received mainstream exposure for both his single ‘Au Seve’ and for his work with Jessie Ware. Here, the Bristol-born producer and DJ discusses his long-awaited album, Knockin’ Boots, and shares his thoughts on dance scene snobbery and crossover success. So Matt, what’s your earliest musical memory? It’s a psychedelic, 20 minute-long song called ‘Tarkus’ by Emerson, Lake & Palmer. And on the sleeve is a giant, armoured armadillo/tank-type thing, fighting a giant scorpion. Yeah, it was my dad’s. Do you remember the first record you bought yourself? Yeah, it was a WWF wrestling album, when I was nine. It had Wyclef Jean on it. You remember that song Wyclef Jean did with The Rock? When musicians say they don’t care what other people think, that’s bullsh*t. People saying nice things about what you’ve created is the best thing in the world. Ah man, it’s a banger – look it up. You’ve previously cited your brother Greg as being responsible for your love of house music. Prior to that what were you listening to? So, I was born in 1988, and from really early on my dad was playing me Pink Floyd and Emerson, Lake and Palmer, and then Michael Jackson and The Doobie Brothers. And then I have two older brothers, and they started playing me this Ice Cube album, and N.W.A. Listening to all those swear words from an early age – with the sound turned down –was quite fun. And then in the early 90s it was The Prodigy and The Chemical Brothers, and then Daft Punk Homework we absolutely caned. I think around 2000/01, my brother got decks, and so I think from being into that French stuff, you kind of follow the roots of what you love. And it all comes from American stuff really: like, chopped-up, loopy Chicago and Detroit stuff. When you first started out as Julio Bashmore, dubstep was at its peak. How difficult was it being a house DJ/producer in Bristol, at that time? Surprisingly, it was very easy. Just because – like you say – dubstep was at its peak, so people were ready to hear new sh*t. I know house music’s very old, but you’ve got to remember that at that time there were very few house nights around, definitely in Bristol anyway. So, even though the house music I was playing was old, the stuff that me and my peers were making was definitely a fresh thing. So, yeah, I basically had to go on after dubstep DJs, and then play grime and dubstep for like 10 minutes, all the while slowing it down. Then I’d play stuff that we’d made and stuff we could slow down to 115 [BPM] – like Mosca and Joy Orbison – and then I’d have to speed it back up for the next DJ. It was quite intense, but really cool. You’ve had some huge breakout hits since, most notably ‘Au Seve’. How has that mainstream success gone down with the dance community? Have you experienced any inverse snobbery? Prior to founding Broadwalk Records, you released on some fantastic, underground imprints. Why did you decide to start your own label? I’ve never really had a bad experience with any other label but I think it’s just a control thing. I think with what I want to do, it has always been a hard path to tread; like you say, meeting the criticisms of the underground and likewise criticism from the mainstream. I like to tread somewhere down the middle, and forge my own path and let things just happen organically. And I think for that to happen, it’s a necessity for me to have my own label where I can create my own context. The first release on [Broadwalk] was ‘Au Seve’, which set the tone of what I want to do. That tune ended up getting played in shopping centres, but at the start it was getting played in Panorama Bar and places like that. So I’d go to Panorama Bar and play it there, and then I’d get home and there’d be rude boys blasting out of their Novas, and I thought that was pretty cool. I think you can tread your own path, and there are people who’ve got that to work. I mean, there’s definitely been ups and downs over the last five years. Look at ‘Duccy’ – there was a pretty extreme reaction to that track. But there have also been really good moments, and I think this album is just a culmination of learning from all these things and putting it all together, and growing up really. This is me saying, “This is my path, this is my sound,” and it’s somewhere away from what’s trendy at the moment. A lot of producers and DJs don’t bother with albums at all. Why is the album format so important to you? It’s always been the goal, you know? A lot of my favourite people are very album-based artists: Michael Jackson, The Beatles, The Velvet Underground, The Prodigy and Daft Punk... I know it’s tricky with dance music, but when it’s done right I really enjoy listening to it in an album context. That might be because I was first exposed to dance music through sitting down and listening to it at home, instead of through the clubs. 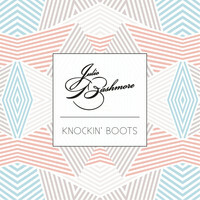 So, can you tell us about your approach for Knockin’ Boots? It’s been in the works for about three and a half years now. That sounds quite dramatic, but it’s really not, just because that’s what electronic musicians do: we sit in the studio all day. I was constantly making beats towards an album, but at the start of last year I realised that – to do the album that I wanted to do – I just had to bring in all the elements of what I’ve done so far. Because all the albums I love show diversity, and because there’s a diversity to house music. That’s something to show off because that [diversity] definitely gets lost at that moment in the mainstream. Aside from Sam Dew and Seven Davis Jr, the majority of the guest vocalists on the record are relatively unknown. Why did you choose to support emerging talent, rather than pulling in big names? I don’t know, really; it’s kind-of unintentional. I think I just like the idea of building relationships with artists. I don’t know, maybe it’s harder to do that with better known artists, with a huge management team to go around. It could very much end up with a situation where you’re just another producer who they’ll come and do a session with, check out and then that’s kind-of it. I think there’s something very unromantic about that, and it’s something I struggle to do. I’ve been working with these guys for a few years now, building friendships and nurturing the sound together. [The work] comes from quite a lot of sessions, and just getting comfortable with that person. Singing is such an expressive thing that, to get the most out of a vocalist, it’s good to break down those barriers and create something pure. J’Danna appears on three tracks. She was pretty young when you discovered her, right? Yeah, I think she was 16 or 17. I saw her performing at a Gilles Peterson awards show, and she did a cover of a Gil Scott-Heron song and it just blew me away. I thought her whole vibe was great so I just got in touch and thankfully she was up for working with me. And yeah, she’s been a huge part of the album, and her songs are some of my favourites on there. Can we talk about the album title, please? Is the Urban Dictionary definition correct? But, yeah, I don’t know – it’s just quite fun, and a bit silly I guess. I’ve always been very wary of dance music taking itself a bit too seriously, so it’s nice to just give it a fun side. The reviews of the album have been really positive so far. Have you read any of them? I have. I read all of my stuff. You know, I read pretty much every comment on ‘Duccy’. (Laughs) It’s a modern thing, but ultimately it’s something musicians have always had to deal with: people are always going to critique their work. I think it’s good to read your comments and then you can sort out for yourself whether they’re bullsh*t or not. And I think it makes people up their game. I always think, what if I went into at an airport toilet and David Attenborough was walking out and he didn’t wash his hands. I’d be disappointed, man. Maybe I’d say some sh*t on Twitter. (Laughs) And then that would encourage him to become a better person, hopefully, and wash his hands – filthy b*gger. I’ve just gone on a massive rant here: that didn’t happen, that’s just purely hypothetical. But do you know what I’m saying? Criticism is important because censorship would be bad. I’ve embraced it, and I’ve got through all of those comments and rationalised them. This is just a very long-winded way of me saying that when musicians say they don’t care what other people think, that’s bullsh*t. People saying nice things about what you’ve created is the best thing in the world, and I’ve learned that you’ve really not got to take that for granted. So, yeah, all these reviews have been great, and I’m loving it. Finally, what’s next for you this year? I’ll be pushing the album now, I’ve got a big old tour and I’m gonna be getting in the studio producing for some other people. I want to do some more underground, white label stuff for my label too. I really like the contrast of working with bigger names and then releasing some more unknown stuff, maybe under an alias or something, just to the underground. So yeah, it should be fun.